DNS is an important part of Internet. When you try to access a website with its web address, DNS helps in converting the request to its IP address. In actually, when you request for www.usethistip.com, it translates your request to its IP address to let you access the website. Your system or router knows how to contact DNS to properly serve your request. There are few public DNS servers are available. Google DNS and OpenDNS are most popular. Your internet service provider may also have one which it use to configure as default DNS server for your internet connection. But many malicious programs and hackers try to change the settings of your router to point it to wrong DNS. In this way, hackers can manipulate the requests to redirect you to wrong websites. This makes it easy to perform phishing attack by redirecting you to a fake website looks very similar to legit one. So, you must know how to check if your router was hacked.Popular security firm F-Secure has launched an online router checker tool that can check your router’s settings to confirm if it was hacked or now. You only need to open this in your browser and do not need to download anything in your system. Just visit the website and click on “Start Now” button. In few seconds, it will show you the results. 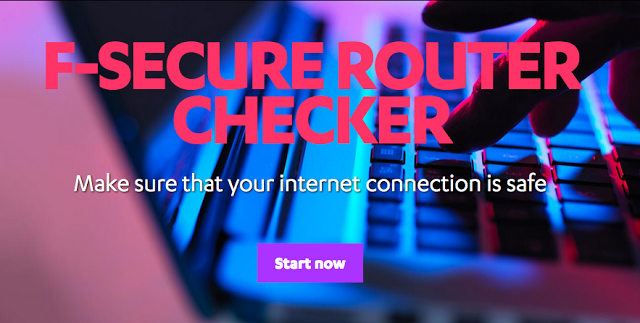 I recommend you to use this tool and check your router. It is good to check your security settings before someone hacks you. Never compromise with your security. Hackers are too active these days, so everyone is at the edge of security risk.